Comparing number of tweets from Pharma with number of mentions from Doctors. 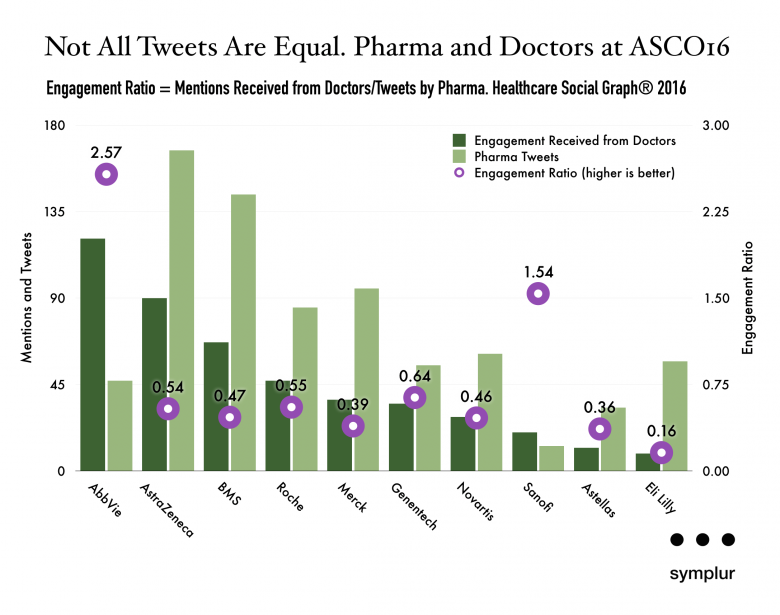 Engagement Ratio = Mentions Received from Doctors/Tweets by Pharma. Healthcare Social Graph® 2016.